Take charge of your credit future, fill out Vann York Nissan's online credit application today! The experts in our finance department will review your rating and contact our many lenders to gather a range of viable car loan packages for you to choose from. Our High Point, NC dealership has had the privilege of working with many drivers from different financial backgrounds secure quality auto loans that have set them up for success. 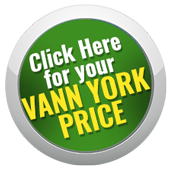 Don't work with other lenders and get stretched financially, work with the professionals here at Vann York Nissan and drive off in a sleek new or used car that you can be proud to drive down the street! From less than perfect scores to non-existent credit, we can help! Take the first step towards building your rating up to an impressive level, fill out our online application now!